The team is currently meeting every other month to develop a tool & process for gathering stories from network members, and the protocol for distributing submitted stories to the network and beyond. Fill out a membership form to join the Story-Telling & Communications Team to get meeting announcements and details. Below are a few resources to help you tell better stories about your school garden, locally sourced lunch, or agriculture education project! Every garden is ripe with stories. Maybe it is one about the day the first shovel-full of soil was turned over and the garden was underway. Or about that time a brave rabbit dared to sample lettuce amidst a class of kindergartners partaking in a garden lesson. Each story has the potential to connect others with your garden and garden program. This brief offers tips for collecting and sharing the garden stories that make your garden program so special. 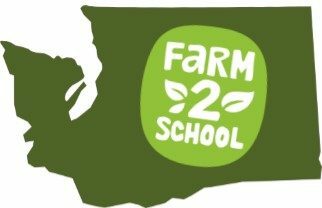 Communicating your vision and successes is a big part of farm to school program planning. Check out the Communications & Outreach Planning and Communications Strategy worksheets for some useful tools to help tell your farm to school story. Tips for marketing your school’s nutrition program, and information on basic terms and concepts of current social media marketing strategies for school nutrition programs. To reap the benefits of storytelling, you need to know how to construct a story and effectively communicate it to your audience. This infographic walks you through the steps of telling a powerful impact story.